Our ideal candidate is outgoing, professional, and has more than 5 years’ experience in closing large format multimedia event production deals. We are looking for someone who can help our customers through the process of booking and running event production, with a focus on customer service. PK customers seek a personal, relationship-based experience. Ultimately, this person is responsible for event production account management, ensuring clients’ needs and budgets are met and that all of the operational and technical needs are in place, with the support of operations, technical and administrative staff. • Is a self-motivator and self-starter. • Is goal orientated and can self-define those goals. • Is a creative problem solver and an opportunity finder. • Is comfortable identifying and encouraging prospects and clients on new ways to improve process, efficiency and productivity; a value creator. • Possesses strong computer skills – Microsoft Office, CRM management, audio prediction, basic or advanced computer networking, other. This position is based in Calgary, AB and the candidate must be willing to travel multiple times a month for extended periods. No formal education is required, experience is more of an asset, but any post-secondary education will be part of the consideration. This position provides a competitive compensation package to the right individual and includes a base salary, equity bonus offer and benefits package. 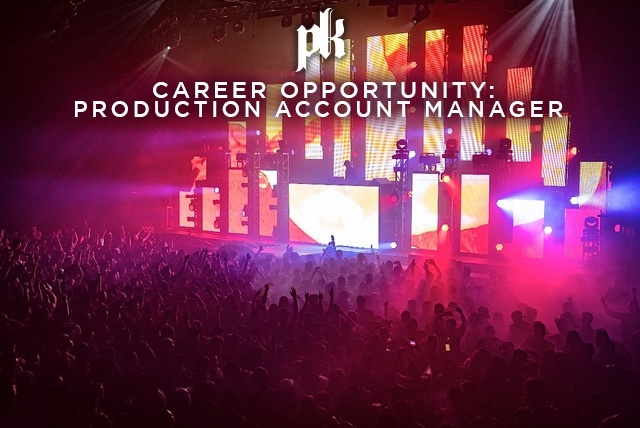 Interested candidates should send their resume to careers@pksound.ca. Only successful candidates will receive contact to establish immediate next steps. No phone calls please.